BÌNH DƯƠNG – Construction on a US$19-million production area began in the southern province of Bình Dương’s Bàu Bàng Industrial Zone (IZ) last week. 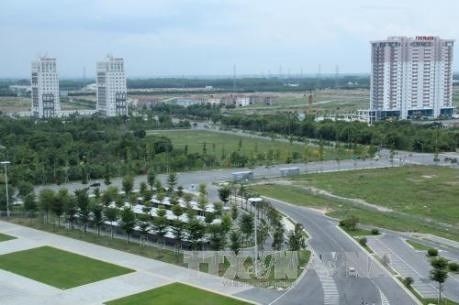 The 13ha area is financed by four Taiwanese firms – DDK Việt Nam, Yi Xing, T-Star and Ever Young companies. These firms are involved in real estate, factory leasing, industrial infrastructure investment consultation, environmental protection equipment, electricity and aluminum product production. The construction of the area is considered the start in forming a concentrated production cluster of Taiwanese firms in the province. The cluster, expected to cost $200 million, will cover an area of 80ha in the IZ. In his speech at the ceremony, Vice chairman of the provincial People’s Committee Trần Thanh Liêm spoke highly on the Taiwanese firms’ investment in the IZ, as well as their contributions to local socio-economic development. Local authorities would continue to create the most favourable conditions for the investors during their operations in the locality, Liêm said, while expressing his hope that more Taiwanese enterprises would choose Bình Dương as their investment destinations.